"My training and background as both an osteopathic orthopedic surgeon and as a physical therapist has given me a tremendous amount of respect for the musculoskeletal system, and an appreciation for the body's innate ability to heal. I enjoy serving the orthopedic needs of the local community, and assisting in the recovery of my patients." 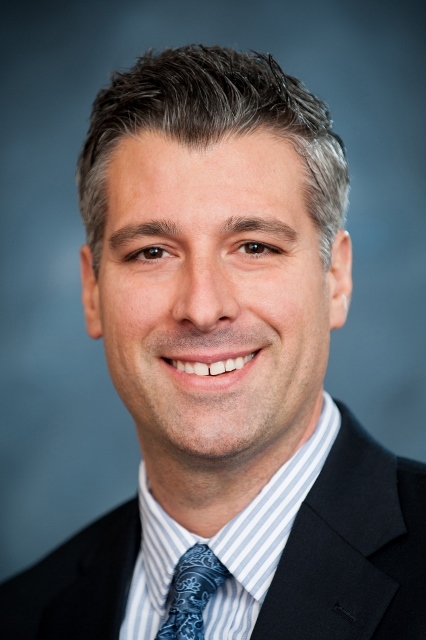 Jason J. Jancosko, D.O., M.P.T joins The Orthopedic Center on September 1, 2013. His main concentration of practice is Sports Medicine and Arthroscopic Surgery as well as General Orthopedics. Dr. Jancosko completed medical school receiving his Doctor of Osteopathic Medicine degree in 2007, completed an Osteopathic Orthopedic Surgical Internship in 2008, and his residency in Orthopaedic Surgery in 2012 all at Philadelphia College of Osteopathic Medicine. He went on to complete an Orthopedic Sports Medicine Fellowship at The Sports Clinic Orthopedic Medical Associates in Laguna Hills, California where his training focused on arthroscopic and reconstructive surgery of the shoulder, knee, and hip. Dr. Jancosko also has a Masters Degree in Physical Therapy, as well as practical work experience as a Physical Therapist. Dr. Jancosko is board certified in orthopedic surgery. He has provided athletic team coverage for the Philadelphia Soul- Professional Arena Football team, Philadelphia Fight Rugby Club, USA Tomahawks Rugby, and University of California Irvine Athletics. He now looks forward to supporting our local community by working with Dr. Richard Mason to expand our programs with athletes in the high school and recreational leagues. Dr. Jancosko currently serves as the team physician for Queen Anne County Schools. You will see him on the high school football field for Friday night games. Dr. Jancosko's professional memberships include the America Academy of Orthopaedic Surgeons, American Osteopathic Academy of Orthopedics, Arthroscopy Association of North America, and the American Orthopedic Society for Sports Medicine. He will see patients in our Easton location as well as our new office in the Shore Medical Pavilion in Queenstown. Dr. Jancosko lives in Easton with his wife, son, and three daughters. Click here to see a list of education topics Dr. Jancosko discusses.